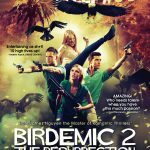 The original Birdemic: Shock and Terror became a cult classic because of its low-fi production, bizarre action sequences, and indefatigable earnestness in the face of absurd subject matter. 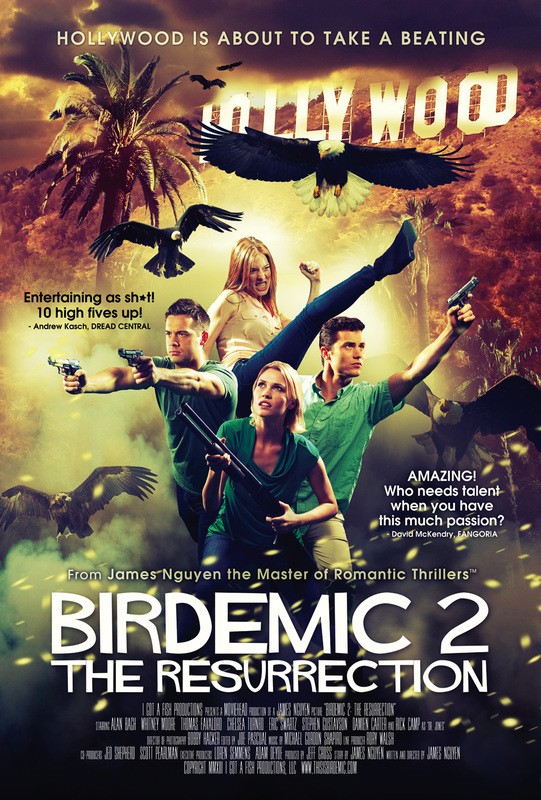 Inspired by the film’s manic energy, producer Jeff Gross decided to create the sequel, bringing back writer/director James Nguyen and much of the original cast. The end product has to be seen to be believed. Jeff is an old friend and approached me to score some of the key sequences of the film, most notably that of vengeful vultures and hawks bursting from the La Brea Tar Pits. The key to scoring comedy – intentional or otherwise – is taking the subject matter seriously. Rather than ridiculing the over-the-top moments, I scored them as the characters experienced them: with swaggering confidence, wonderment, and supernatural terror. The end result was a eclectic pastiche of apocalyptic hard rock, golden era Hollywood, Motown soul, zombie agitation (don’t ask), and Bernard Hermann-esque string passages. I had lots of fun.